We methodically build strong bodies to prepare you for any physical challenge life throws your way. We custom design comprehensive training and wellness programs with your unique strengths, weaknesses, past injuries and lifestyle in mind. I tell my friends it’s the best thing I have ever done for myself. Having trained with a personal trainer for over 10 years, I thought I knew everything there was to know about proper form, technique, and breathing. I have never experienced such a positive change in my overall health and well-being until I met Jeanne Anne. She has transformed my entire workouts and changed my life. I have been exercising my whole life yoga, Pilates, kettle bells and running. I came to Jill and Jeanne Anne after major spinal surgery. It has been one of the best training experience I have ever had in Charleston. I am learning about my body because of her great knowledge of the human body. She has shared this knowledge with me and has greatly improved my quality of life. My Doctors at the Mayo Clinic are very pleased too. 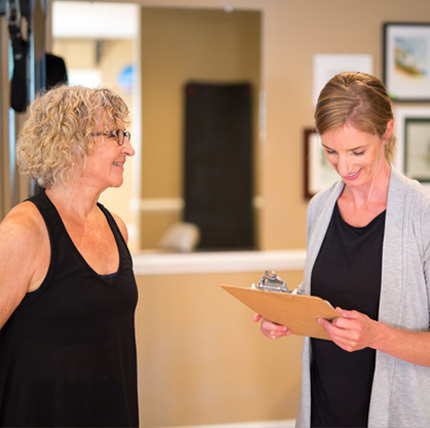 Jill’s expertise as a Physical Therapist AND a fitness trainer are well evident, the ultimate combination. I especially appreciate how she is “hands on” when the need arises, whether on the table, mat or at the equipment. Her knowledgeable feedback has helped me learn so much! I found out about Perfectly Fit through a friend, but put off going because I was significantly overweight and very out of shape. My only regret is that I waited so long to start! Jill is an incredibly knowledgeable professional and I have learned a lot from her. I would urge others to begin their own journey toward physical health in this wonderful, personalized atmosphere! Jeanne Anne and I began working together when I learned I was pregnant. She helped me understand the changes that were occurring to my body and modified my workouts for what was safe at each stage of pregnancy. I grew stronger through my pregnancy and actually feel like I’m in better condition now than before I was pregnant. I haven’t had even one ache or pain through the entire process and only gained the recommended 25 lbs. I’m planning to continue with Jeanne Anne well beyond arrival of our child! I trained with Allison for several years and even ran a 5k for the first time in 30 years! That would not have been possible without Allison’s solid, steady guidance. She is responsible, patient, and professional. I witnessed Allison working with many clients who showed quick progress with a change in routine after years of no improvement with other trainers or methods. Allison takes a comprehensive approach towards being a personal trainer and considers all factors contributing to fitness including diet, life-style, and recreational activities. Her dedication was evident immediately, we became close and she truly took up the role of a life coach and positive influence on my health and well-being. After struggling for two years with injuries Jill and her team had the skills to heal me quickly, efficiently, professionally and with good humor. I’d been to several heath professionals while living in Germany and while they were very good, they weren’t able to make much progress. I was living in pain and my lifestyle was restricted. I didn’t want surgery so I sought out Jill. Now I am feeling better than I have in years. If you’re looking for results set up a consultation. I highly recommend them! Jill has been a key component to my recovery from a pregnancy related injury that many doctors believe is hopeless. She is incredibly knowledgeable about the human body and the ways that a particular part’s function can be impacted by dozens of other dysfunctions, and the bonus is that she keeps me laughing as she makes me work hard! 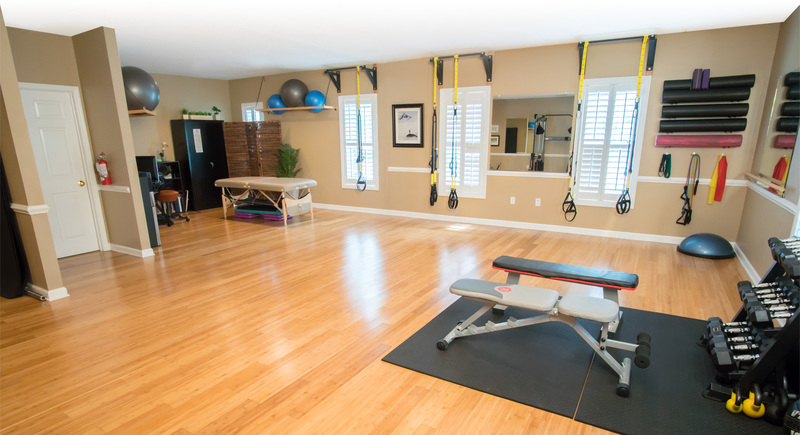 I can’t imagine ever going anywhere else for physical therapy or personal training. Fill out the form below to be contacted by a team member, or give us a call at 843-509-2577 to schedule a consultation or appointment.